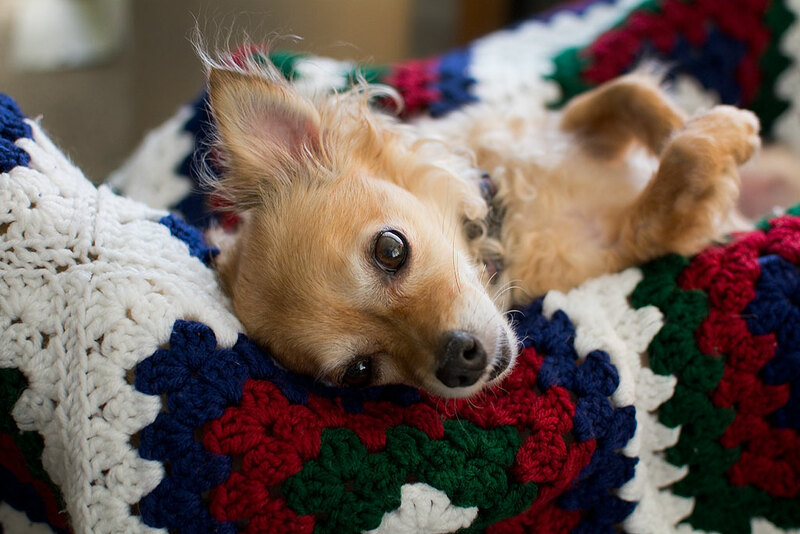 Sierra the Chihuahua eyes me from Abby’s handmade afghan yesterday. My wife Abby and I are going through a particularly good period in our lives together. Retirement seems to agree with her. Work is going well for me. And we’ve got a couple of potentially exciting items brewing for the future. 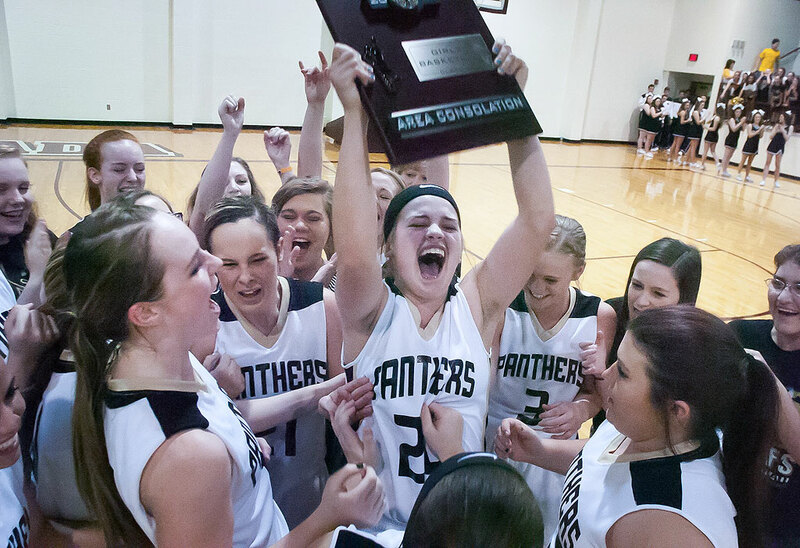 The Latta Lady Panthers hold up their Class 2A Area Consolation Championship trophy Saturday. The victory earned them a place in the state tournament this week. Since it is early March, it is basketball playoff time. The remaining teams in our coverage area are the Lady Lady Panthers and the Ada Cougars, both slated to play in the first round of the state tournament Thursday. The state tournament has always been one of my favorite things to cover, since there are so many people I know bringing a huge amount of emotion to the games. When the ball hits the net and the crowd goes deafeningly wild, it’s a rush like no other. The other thing about early March is that spring, which comes early here in Oklahoma, is arriving. My peaches and plums are blooming, and Abby’s redbud by the driveway is in fuller bloom than we have ever seen it. The forecast calls for the potential of severe weather, and that always make things interesting as well. 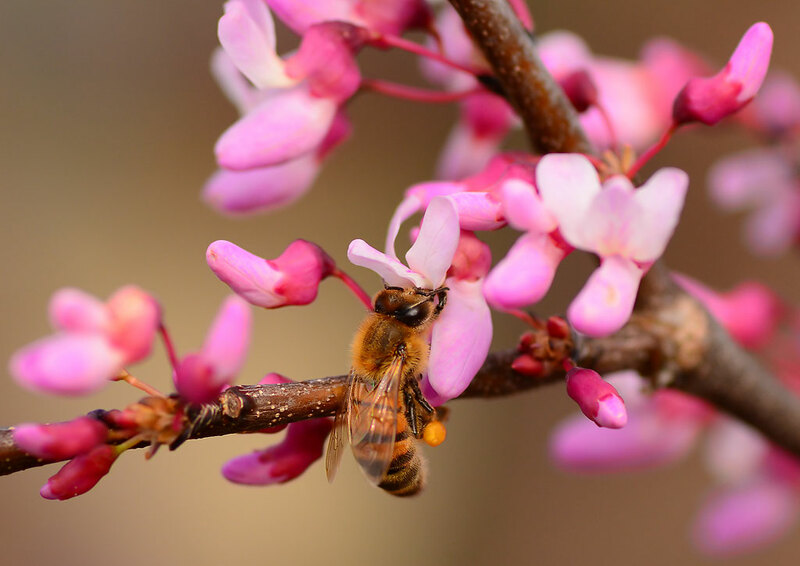 A honey bee harvests from Abby’s redbud tree in front of our house yesterday. What are the potentially exciting items? Also? Oh God. I want to retire.